Quality male banana plug to alligator clip leads 3 feet (36 inches). Set of 2, one red, one black. Leads are 3 feet long. 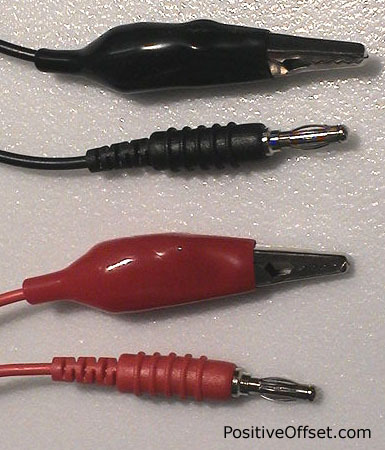 Perfect as replacement leads for any zapper with female banana plugs. If your zapper has Banana Plug ports, and only came with wrist cuffs, it is easy to convert it to a unit with copper handles with a set of the leads pictured below, and a set of copper pipes.